The LEGO Movie‘s Phil Lord and Chris Miller were originally expected to direct Sony’s animated Spider-Man film, but after attempting to balance that, The Flash, a LEGO sequel and the Han Solo spinoff, it was ultimately the latter that they decided to devote their time to. However, this CGI adventure for the wall-crawler finally has someone at the helm. That will be first time director Bob Persichetti. He’s worked on countless animated features for studios like Disney and Dreamworks in various capacities and served as head of story for Puss in Boots and The Little Prince. It’s hard to predict what he’ll bring to the table, but it’s hard to complain when he has so much experience in this realm. Interestingly, Lord actually wrote the script alone, but will produce alongside Miller, Amy Pascal and Avi Arad (the latter is someone most fans would rather have nothing to do with this character after The Amazing Spider-Man 2 and various comments he’s made about Spidey in recent years). 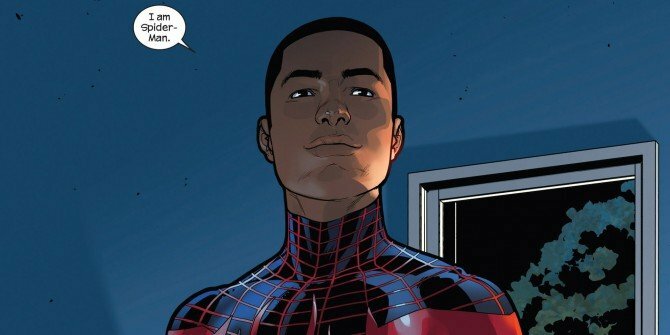 An official title and plot details have yet to be revealed by the studio, but we do know that it’s set to be released on December 21st, 2018, while rumours point to Miles Morales being the movie’s lead. Regardless of who or what it ends up focusing on, the animated Spider-Man feature is a pretty exciting prospect, and will hopefully deliver a fresh take on the iconic superhero.